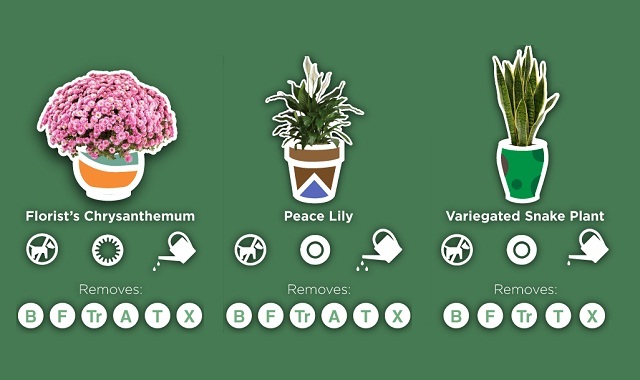 15 Low-Maintenance Indoor Plants to Purify the Air in Your Home or Office #infographic ~ Visualistan '+g+"
We spend more than 90% of our lives indoors, do you know what's in the air you're breathing on a daily basis? Indoor air may smell clean but indoor air quality is a common problem. Harmful chemicals such as Benzene, Trichloroethylene, Formaldehyde, and Ammonia can come from every day items such as furniture, building materials, and cleaning products. Fortunately, indoor plants are an affordable and beautiful way to combat toxins and improve air quality!